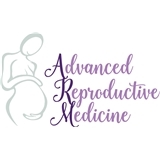 Advanced Reproductive Medicine (Princeton) - Book Appointment Online! Our mission at the Center for Advanced Reproductive Medicine is to assist all couples and individuals to achieve their dreams of parenthood. Our center combines personalized care with comprehensive infertility services, from conventional therapies to state-of-the-art technologies. The best interest of the patient is our primary focus. Our physicians and staff pride themselves in the delivery of one-on-one customized care for every patient who visits our center. We pride ourselves on the reputation we have achieved within the local and medical communities as this demonstrates our commitment to you, our patient. Such an amazing staff and doctor. Answered all our questions. Extremely friendly. Made my husband and I very comfortable. Can't wait to go back to see him. Dr. Corsun patiently went over all of my questions and concerns, demonstrating intellect and compassion with each.